aww erika, if you lived in port angeles washington, i got a whole bunch of old typewriters! I had a full year where I only bought secondhand or handmade clothes! I'm trying to extend this philosophy to everything else as well, especially with moving into my first apartment in a few weeks. thanks for the cute buttons! But I live the thrift pledge, never buy anything new unless I have to. :) Let me know the correct code for that owl and I'll put him up! I have been trying to buy more at thrift stores or hand made...not only to save money but I also find that older things are made better- better quality, more attention to detail, etc. I was never purposely trying to do that, I just did it because I'm broke. In 2011 I am definitely going to make an effort to only buy thrifted, second hand, used or hand made items! Thank you for this inspiration! Jacqueline: Damn blogger, it messed up my code for this post. I went in and fixed it. You can copy and paste the code now and it will work! I am just so happy to find out about this blog today! 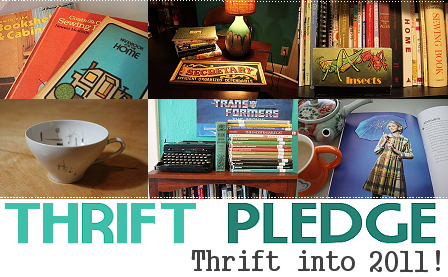 I am definitely taking the Thrift Pledge. Sounds like amazing fun! Erika: I love old typewriters. I stop myself from collecting them or I'd get out of hand! Buy more used, it'll become addictive! Teacup A: I commend you, I look forward to my year of buying secondhand only! Jamie: Old stuff is definitely better! Unique, and typically better quality. Especially when it comes to furniture! I love thrifting. It's not terribly difficult to swear to do more... LOL! When I was little I always bought secondhand, they had all these kids clothes fairs so it was easier. The buttons are very cute! Oh my, what a pledge. I would love to take part, but will buy more thrift instead of solely as there are far too many things I need that the charity shops just don't stock in good quality, or price. I get a bit mad at some of the prices on cheap items here in London when at new, they would be the same price, or cheaper. I might see if I can do a month, then see where it leads. Interesting pledge to think about!! 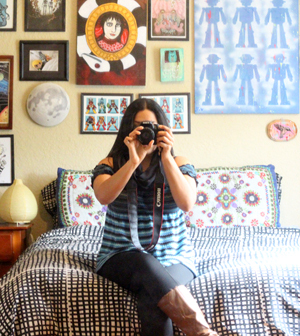 Thrifting, upcycling, recycling, reselling, crafting and making do! Totally the penny worthy project plan!! grabbing a badge NOW!! Oh, I really want to try this too! We don't have yard/estate sales around here but I think I can try not buying new stuff unless very very very very necessary. This is exciting! I have quite a few thrifted dresses, top and skirts but the thrifting culture here is not very sound for an entire lifestyle wrapped around it. Not harm trying though! Hi Van, I love your blog. 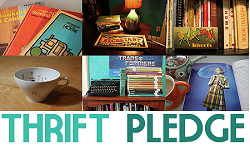 I have added the thrift pledge to my blog. I am taking the pledge as well! I plan to "thrift" my own home/storage before shopping (be surprised by forgotten items), buy all used clothing for self (including shoes and only when I find a bargain! ), and try ReSelling crap I have accumulated over the year (and no longer love)! I, too, am enjoying your blog! Van, I'm getting my cats in a row (Yes, i know it's ducks, but don't cats just work better? ), and I put one of these on my blog. I'm absolutely thrifting this year and am looking forward to it! How did I miss this?!? Proudly taking your pledge! i'm gonna take a button but yeah like harper said..update for 2012! :] glad to be part of this pledge! Haha, didn't catch this comment until now. WILL update this for 2013!